The new, permanent home for Castle of Chaos is 8000 S State Street in Salt Lake City. Are you brave enough for Utah's only completely underground haunted attraction? You have never experienced true fear at a haunted house until you descend into the vast darkness of the Castle of Chaos! Castle is based around a fun, scary but safe great group activity or date. Castle is a very interactive haunted house with lots of actors, so each of your visits is unique. We pride ourselves on being not just scary, but fun! We also offer "4 Levels of Fear" so you can choose what level of scares you get! Level 1: "Monster Be Gone" which is a glow stick used like a wand that keeps the monsters back- which is great for kids and the faint of heart. Level 2: "Classic" which is your normal walk-through, where none of the monsters can touch you Level 3: "Hands on Horror" marks you as a target and allows the monsters to touch, but not move you Level 4: "X-Scream Hands on Horror" is our most intense experience, allowing the monsters to pick you up, move you, etc. All 4 levels go through together, through the same haunted house, it just varies the interaction you receive as you go through. Castle is wheelchair accessible. New underground location at 8000 South at State Street SLC. Use Trax and show your receipt for a $2 discount or park at our location (next to Bumblebees Grill). 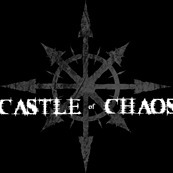 Our website has a full calendar for dates/times at www.castleofchaos.com.